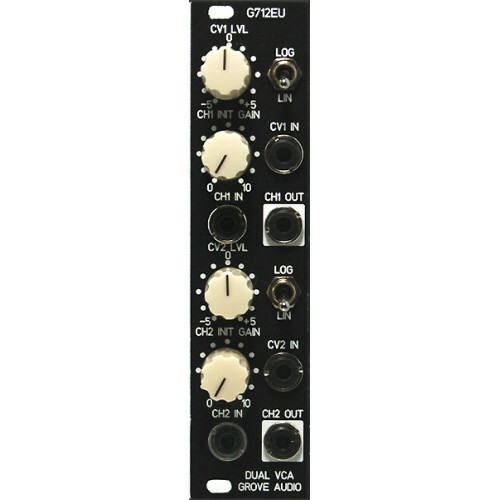 The GMS-712EU Dual Log/Lin Voltage Controlled Amplifier contains two high quality VCA devices in a 6HP panel. 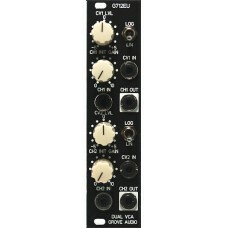 Each amplifier can be used with an external control input to produce a change in amplifer gain from infinite attenuation to a gain factor of 1 or more. The control curve can be set for a linear or logarithmic response to the input control voltage. Need more technical info? CLICK HERE . . . Note: Preliminary specifications, subject to change without notice.